The week kicked off in earnest. 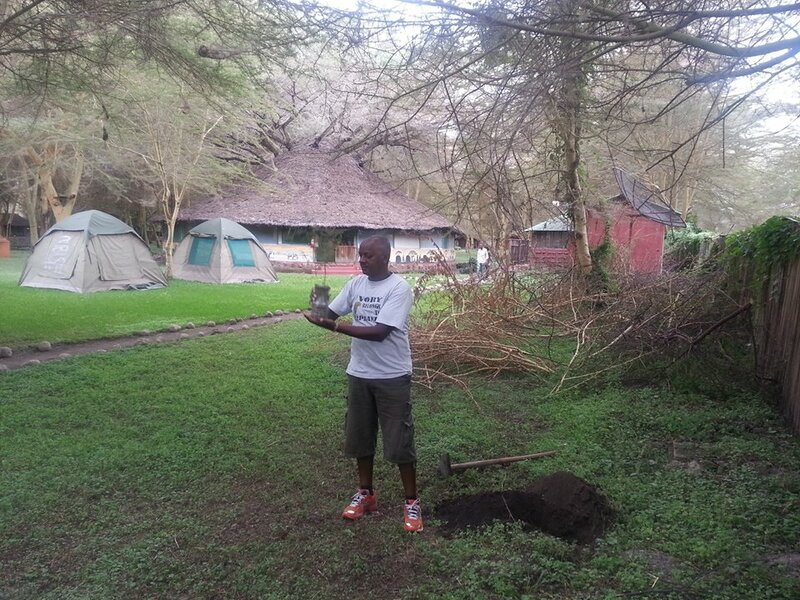 I started of by rewarding mother nature by planting a tree at Lilac Camp with Mzee Aafeez Jivraj whose generosity and kindred spirit impacted us in a big way after he offered to host us for the weekend. I’m forever indebted to him and his family. 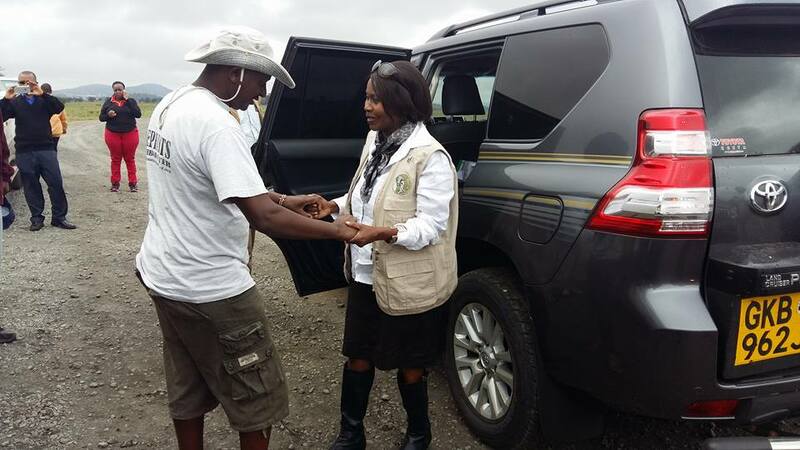 A good day would later be capped greatly with subsequent flagged off at Arusha Airport. To ice of further I very honored to walk with the Cabinet Secretary for Environment and Natural Resources Professor Judi Wakhungu into Arusha.After the walk I paid a courtesy call to East African Community Headquarters where I was received by Mr. Aori who also gave us a uniting East Africa Community flag to carry during the walks. 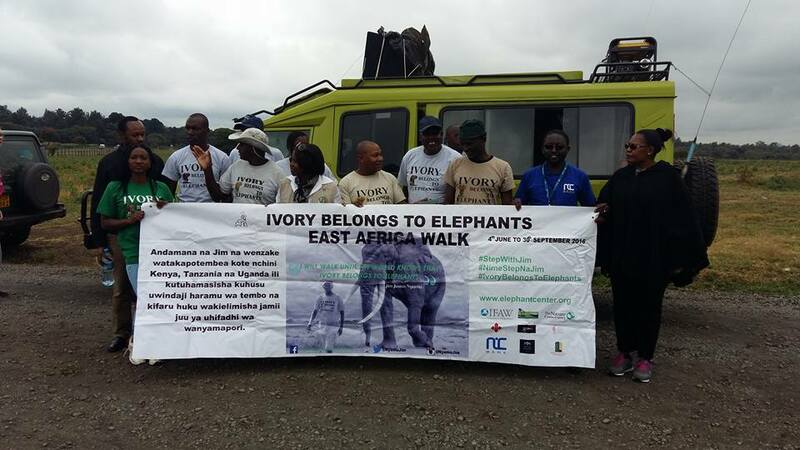 Later on we visited TANAPA(Tanzania National Parks) to discuss and deliberate on things regarding our designated route.I look back and get flooded with thoughts of gratitude to what was a hugely successful day for the team and I . 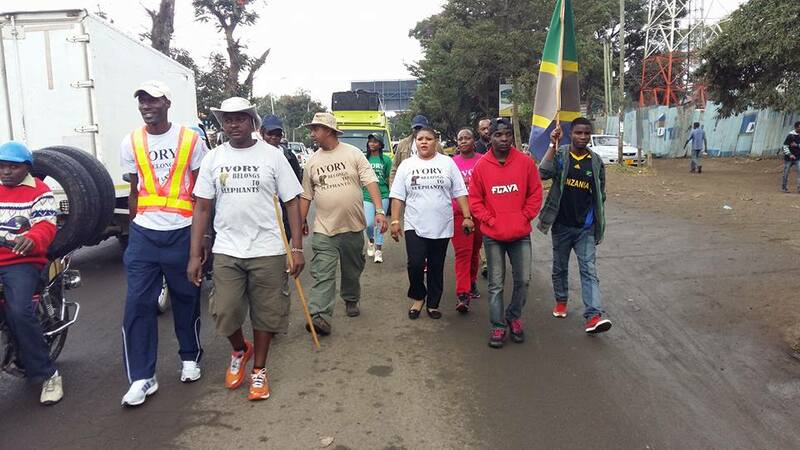 It was a great honor walking with cabinet Secretary Judi Wakhungu for over 5kms. She has now done 26 Kilometres adding to already 21 Kilometres clocked in the previous walks. I’m encouraged. I was also formally presented with the EAC flag at the EAC headquarters today.This will be significant as I walk in this three countries who are members of EAC. 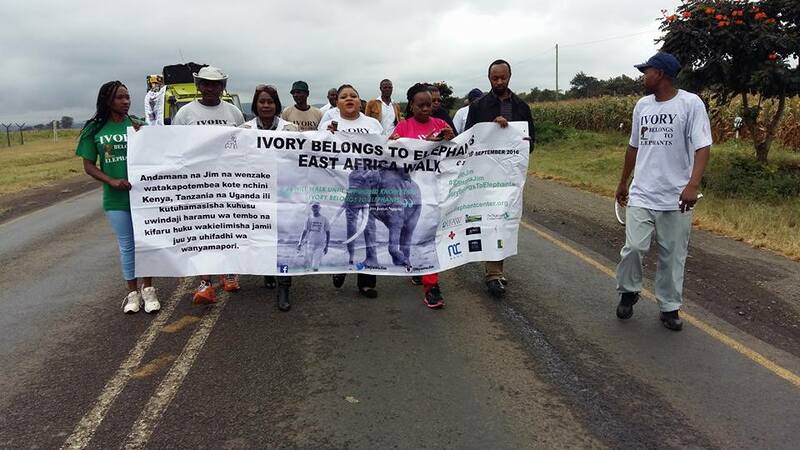 This campaign intends to bring the community together and rally on one clarion call- to exterminate Wildlife Poaching and take personal responsibility in conserving the wonderful ecosystem endowed by God. Also today,I was also joined by friends from Tanzania who offered me great support both with their presence and resources. It goes along way. 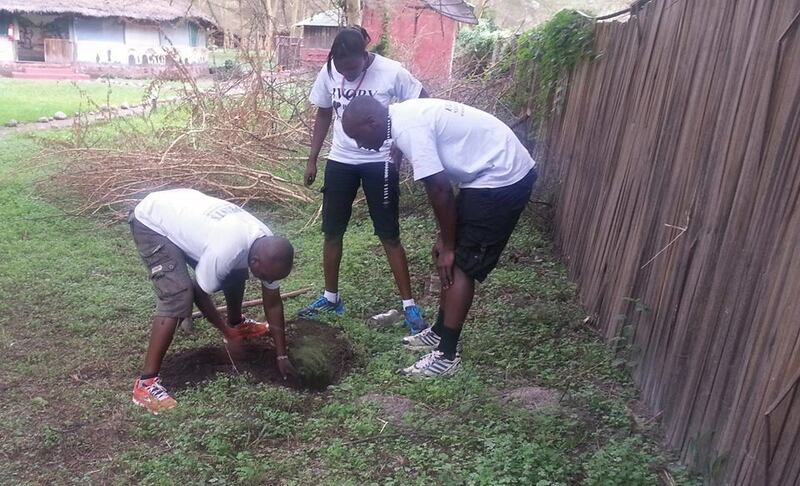 Its such a humbling gesture. I’m indebted to them for finding time out of their busy schedules to come and give me their utmost support. 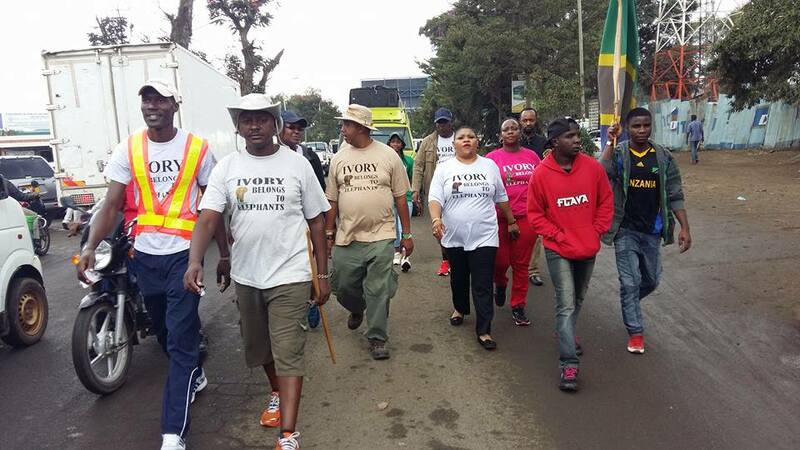 My spirit is now reinvigorated to go step by step until the world knows that Ivory Belongs to The Elephants.